Dear, dirty, rough and ready Westhorpe. 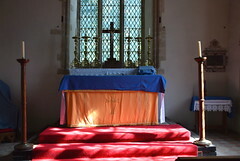 This church is one of my favourite places in England. 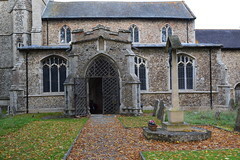 It isn't Suffolk's finest church, but it has the great character of a much-loved old friend. It is idiosyncratic, scruffy and wise. It is not ashamed of its age, and doesn't try to hide the ways it has changed over time. I like people like this, and I like this church. I'm always a bit worried about coming back here, in case some enthusiastic person has moved into the parish, rolled up their sleeves and cleared out all the clutter, possibly carpeting the floor and installing an overhead projector screen as well. Coming back after some five years away I opened the creaking 15th Century door with some trepidation, but I needn't have worried. 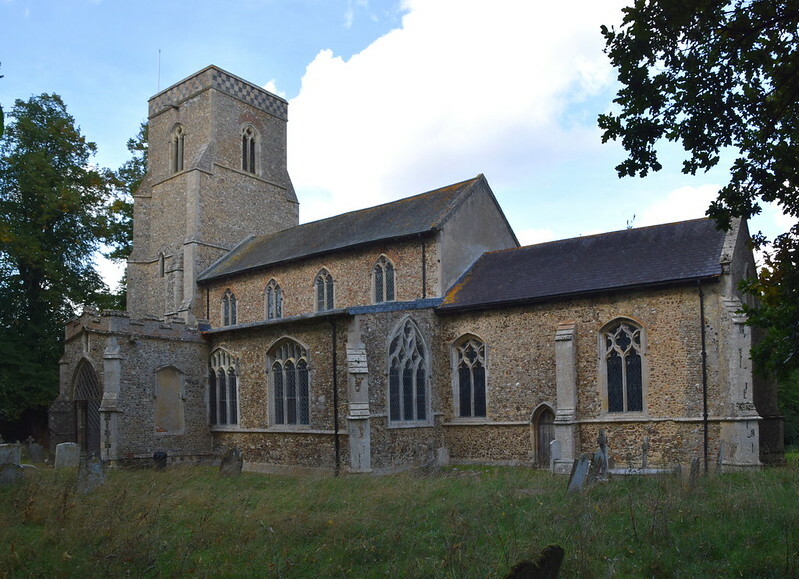 Westhorpe church is open every day, but you used to have to collect the the key from a lovely lady across the road who would always apologise for the state of the church. 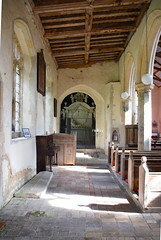 The reason for her apology was that St Margaret is home to a large colony of bats. 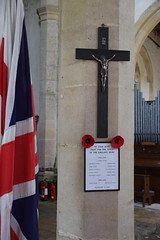 A notice in the little porch also apologised for the state of the church. We can only clean the church once a week, it said. And as you know, when you have bats, you know you've got them. Perhaps it was just the time of the year I was visiting, but the bats no longer made such an impression on me as I stepped down onto what must be Suffolk's most uneven brick floor - hardly any smell of urine, no crunch of bat poo underfoot. 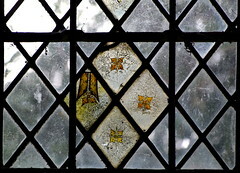 In a thoroughly Victorianised church, with tiled floors, pitch-pine pews and recut stonework, bats are a bit revolting. But here on previous visits I had thought that the whiff of bat urine was an essential part of the atmosphere. I imagined that Westhorpe church would be diminished without its bats. 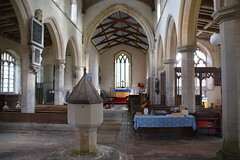 But the church was still full of its familiar character, the smell of the past, the greening of the font, moss showing here and there between the cracks, all in all a sense of the ancient. 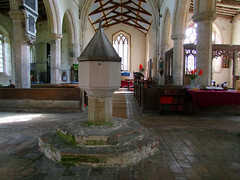 The west of the church has been cleared of benches, giving a sense of drama to the high font on its pedestal. 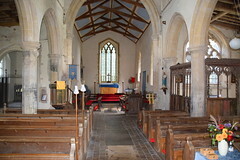 Part of the charm and fascination of St Margaret is that it has the slight air of a theological junk shop. Every century from the 13th to the 20th has contributed a curiosity. Firstly, there's the glorious painted parclose screen to the east end of the south aisle. 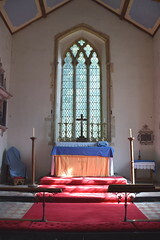 It may have enclosed the Elmham chantry. 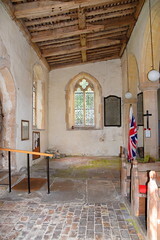 The altar here is always dressed for use, and on winter visits I had seen the damp collected in puddles on the uneven brick floor. It is charming. 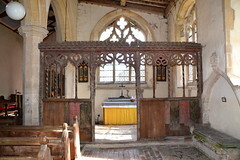 Edwardian rood screen panels flank the altar, and there are others elsewhere in the church. 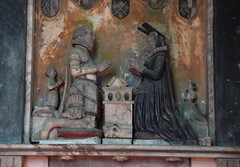 Nathaniel and Jane Fox are commemorated on a pillar of the north arcade. 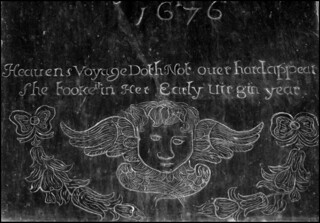 They died in the late 17th century, and their memorials are a good amateurish mixture of cherubs, skulls and schmaltzy verse: heavens voyage doth not over hard appear, she tooke it in her early virgin year. At the east end of the south aisle, a board reminds you that this church was the Sunday local of Mary Tudor, sister of Henry VIII and grandmother of the ill-fated Lady Jane Grey. She had actually been married to the King of France, her ruthless brother sealing a shaky and ultimately fruitless pact with France by so doing. He married his other sister off to the King of Scotland. Her second husband was Charles Brandon, and they lived in the Hall here. Mary died in 1533. She's buried at Bury. 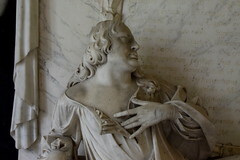 Surprising as this is, a further jolt comes from the imposing memorial to Maurice Barrow, who seems to have had lots of money in the 1660s. Unfortunately, he died before he could spend it, as so many of us will do. 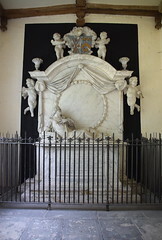 So this great tomb was constructed by the Shelton brothers, Maurice and Henry (Henry finishing it when, as the inscription observes, Maurice was suddenly snatched out of this world). Barrow reclines in great splendour beneath big fat grieving cherubs, behind contemporary spiked iron gates. Perhaps he thought someone might otherwise disturb his rest. 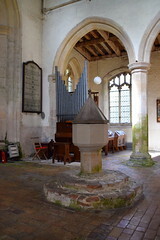 Up in the chancel there are more quirky fascinations. A high mounted memorial on the north wall is to an earlier Barrow, William. One might imagine for a moment that he is sitting with two concubines at the breakfast table, the servants looking on. But he's actually reading prayers with a Laudian air, facing across to his two wives Elizabeth and Frances (not at the same time, of course). They wear amusing hats, with sticky-outy bits, as if participating in a party game that has long-since been lost to us. Their children watch. But it is a curious little piece. 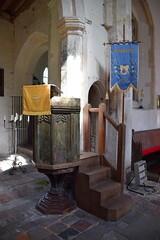 The big six candlesticks sit on the altar. 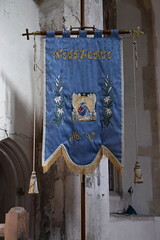 Westhorpe was very much in the Anglo-Catholic tradition, and there are ancient notices in the south aisle explaining the sacraments and the significance of lighting candles. Quite how much this enthusiasm is still reflected in the liturgy here, I couldn't say. When the candles are alight, they must reflect brilliantly in Richard Elcock's wall-mounted brass memorial of 1630. 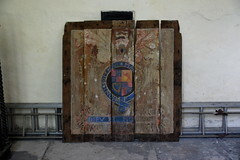 Elsewhere in the church, there are delightful little details, painted walls, shields and coffin lids, forgotten decalogue boards stacked up, two sets of Royal Arms, one a Stuart set leaning against the wall in the north aisle chapel and the other apparently for George II, although it is probably another overpainted Stuart set. 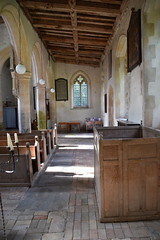 There is a lonely 17th century box pew in the north aisle that may have come from here, but seems quite out of character with the rest of it. 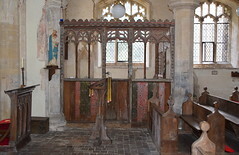 Barmy Arthur Mee was convinced that it had been Mary Tudor's family pew. All in all, exploring this church is a bit like being inside someone else's head. I have a vivid memory of my first visit here, early in the spring of one of the last years of the old century. The tiny graveyard was full of birdsong and cowslips. Recently, the cowslip had been declared Suffolk's official flower, and the ground around seemed to validate this. That Spring day, I had seen them lovely and fair all across mid-Suffolk, but nowhere as lovely and fair as this, bats and all.